How long is a car insurance policy number? How many digits are in a car insurance policy number? Your auto insurance policy number is how the car insurance provider identifies individual policyholders and keeps track of all of the information related to their policies. It is chosen by the company itself, so there is no way to know how many digits will be in your specific policy number without seeing your actual policy documents. If you need to find out what your specific car insurance policy number is, you should check on your proof of insurance card or pull out your auto insurance policy. It will always be listed on the declarations page of your car insurance policy. How can you find your policy number? If you need to know your exact auto insurance policy number, there are a few easy places that you can look. Every policyholder gets a proof of insurance card when they sign up for an auto insurance policy and pay the first premium. This is how you would show other drivers in an accident or the police if they pull you over that you have valid auto insurance. On your proof of insurance card, you will find your auto insurance policy number along with the name of the auto insurance company, a phone number for the company and your effective policy dates. If you have a copy of your auto insurance policy agreement, you can find your auto insurance policy number on the declarations page. This is a very important document to have at your disposal because it contains all of the crucial information about your car insurance policy. When you receive a statement in the mail or via email from your auto insurance company that your premium payment is due, this document will typically have your auto insurance policy number. You should search your inbox or bill folder to see if you have a copy of one of these statements. You may also have other correspondence from your auto insurance provider that would include your auto insurance policy number on it. You should feel free to call your insurance provider if you need to track down your auto insurance policy number or want any other information about your specific policy. This is also a good time to have an agent review your policy and see if you are missing out on any discounts from your insurance provider that could be applied to your premium. If you think that you might be paying too much for your car insurance, the best time to shop around is when you are already insured. This will show other insurance companies that you have a history of paying your premiums and following the state laws when it comes to keeping up with all auto insurance requirements. Also, be sure to ask any other companies about applicable discounts for your rate. If you look around for additional quotes on an auto insurance policy, make sure that you are not giving up the coverage that you need for a better price. It is a good idea to review your current coverage and compare it to what you are being offered from other insurance providers. For instance, if you have a newer car and plan on driving it for a while, then it would not be a good idea to give up collision or comprehensive insurance on it just to get a slightly lower rate from another auto insurance company. 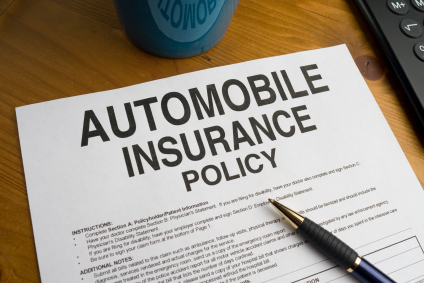 Every auto insurance company is responsible for issuing its own set of policy numbers according to its own policies and records. There is no universal system for determining the digits and what they mean in an auto insurance policy number. If you are trying to track down the policy number for your specific policy, you can quickly find it on your proof of insurance card as well as the declarations page of your car insurance policy.